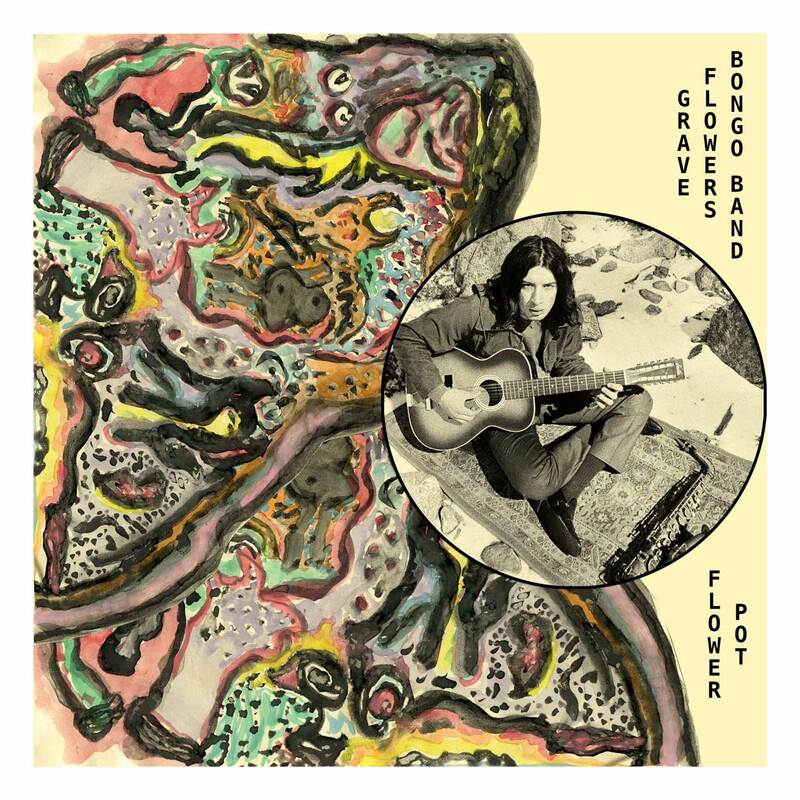 Gabe Flores is in charge of at least half the electricity as lead guitarist in L.A.’s cataclysmic Hooveriii, but Grave Flowers Bongo Band (with Vaughn Christensen and Andy Caly) is his acoustic project—which isn’t to imply it’s any less intense. First single “Sacred” is a frantic two-minutes not far from (as their bio accurately promises) pre-T. Rex duo Tyrannosaurus Rex and/or/especially Steve Peregrin Took’s Shagrat, with bongos a la Lemmy’s early outfit Sam Gopal and a general sense of barely contained Syd Barrett-style chaos. Really, “Sacred” is a scorching 70s-UK-a-delic spiel, delivered in one long desperate breath. Think of it as freaked-out folk more than freak folk, and file it as close to Fresh Maggots as you can. GFBB’s Flower Pot is out in a very limited LP run on Fri., Nov. 16, on Permanent Records, and you can pre-order here. Record release to follow at Permanent’s 5116 York store on Sat., Nov. 17.